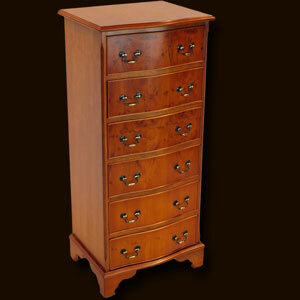 Stunning serpentine front antique reproduction chest of drawers. Available in mahogany, yew and the beautiful burr walnut. 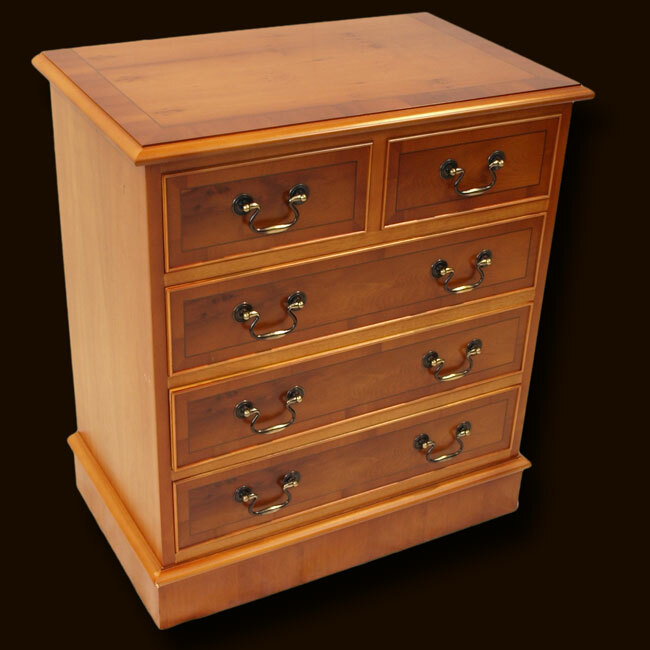 With five handle choices and an option for our popular 'antique' aged finish, we can make this chest of drawers perfect for you.. These three drawer Georgian bow chest feature in-curved sides to add style and to match our Georgian superior sideboards.. Available in mahogany, yew and the beautiful burr walnut. With five handle choices and an option for our popular 'antique' aged finish, we can make this chest of drawers perfect for you..
With a serpentine shape, scallop inlays and spear type feet, this large chest of drawers exhibits both elegance and pleasing proportions.. Available in mahogany, yew and the beautiful burr walnut. With five handle choices and an option for our popular 'antique' aged finish, we can make this chest of drawers perfect for you.. Bedside chest of drawers feature scallop inlays, hand made spear type feet and attractive bow front. Drawers can be omitted in favour of cupboard if preferred.